Terminator Genisys will be in theaters this week, and sees former California Governor Arnold Schwarzenegger reprising one of his most iconic roles as the unstoppable T-800 killing machine. It is the first sequel he has made since he stepped out of office. But he has more planned. One of the most anticipated probably being The Legend of Conan, which has been described as a direct sequel to the 1982 classic Conan The Barbarian. The action icon has an idea about where he wants this new Conan tale to start, offering this tease to Nerd Report. "I was hoping that the idea of Conan having been king for a long time, then just threw it all away and went into retirement and went off into the mountains...That whole idea always appealed to me. Then of course he gets asked back because of some hideous and unbelievable things that are happening to the kingdom. So that's when the battle begins again." While The Legend of Conan is said to be a direct sequel to Conan The Barbarian, playing off one of the final scenes of that movie, Arnold Schwarzenegger did reprise the role in the less-well received sequel Conan the Destroyer in 1984. That outing ditched it's R rating to appeal to a wider audience. That won't be happening with The Legend of Conan, a movie fans have waited decades to see. Chris Morgan has completed a draft of The Legend of Conan screenplay, which Arnold Schwarzenegger has read. Though he seems to have a few notes about the direction this follow-up takes, he is mostly happy with the sequel story as it stands right now. "That turned out really great. It needs some tweakage but really they've done an extraordinary job with it, very thoughtful so I'm looking forward to working with them on that as soon as this gets out of the way, because I'm very focused on one thing at a time. Then we do the next thing." 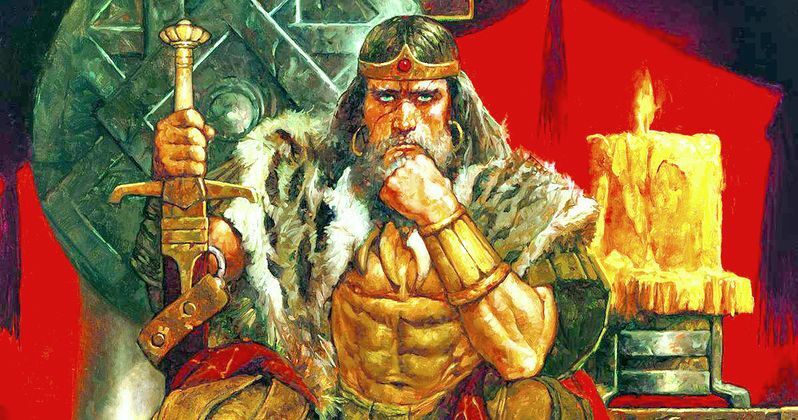 The Legend of Conan is believed to be shooting this fall, but his revenge drama 478 may come first. That film is about a man who goes after the air traffic controller responsible for his family's death. He is also working on the Twins sequel Triplets, which has been delayed. But the legendary actor confirms that it is still moving forward with original co-star Danny DeVito and newcomer Eddie Murphy.